Our story: Like every start-up, 80% of our online product management service & training business has been through referrals. 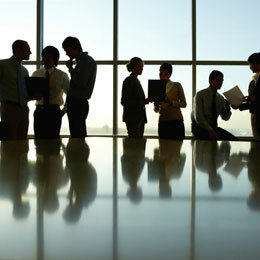 In order to grow, our goal was to attract customers online. Experts & research showed that creating client persona will help us to serve content based on their needs, improve our credibility and ultimately conversions will improve. Is it really that easy to just create client personas, serve content & start selling? – Personally, I found this concept a little difficult to grasp. (Call me old school – I am more kind of a relationship based seller). List of Handful Customers: When starting out, our prospect list was small (very small…!). So, how do we define their client persona before even knowing them? Low Budget: Classic catch-22 situations, we have a limited budget and small team with big targets. How do we understand what the client really wants without spending tons on conducting market research? Small Team with Big Goals: All my fellow entrepreneurs would agree that setting a high standard of delivery helps you ‘think big, do big and be big’. 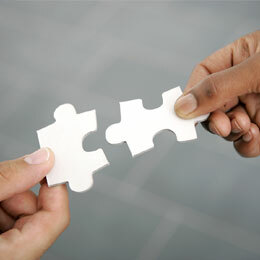 So, how do we start small and yet achieve big client servicing goals? The digital marketer in me is not wanting to share this story…but the product leader in me needs to share this experience. Client persona is a mix of fiction, fact, and fantasy. In our ‘persona’ story, I will list all the myths we believed to be true. After experiencing massive failures (phew!! ), we tweaked our beliefs, busted the myths and got results. Here is our version of myths vs. reality when it comes to defining & using customer persona to make important business decisions. 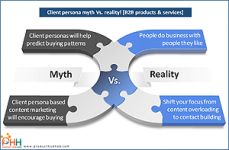 Myth #1: Broadly defined client persona is enough for strategy - Create 2 to 3 client personas. Your marketing & sales strategy (both online & offline) can be based on just these personas. Impact on us: ‘One size fits all’ strategy backfired. We lost a major account because we applied the persona tactics by the book and forgot to master the human connection. Reality: Each client is unique. This doesn’t mean you keep changing your product or service for every customer; instead it means you adapt your content, service & sales attitude based on the customers you want to serve. 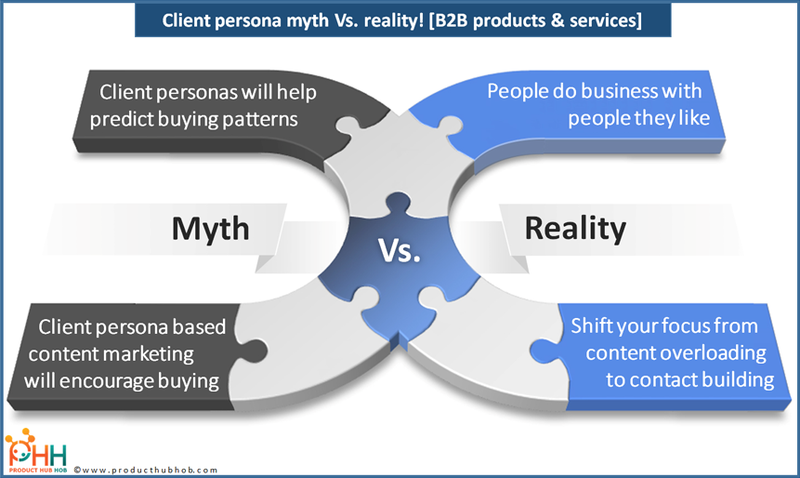 Myth #2: Client personas will help predict buying patterns - You can collect, analyse & create client buying patterns. Based on this insight you can predict how new customers would engage and ultimately buy your product/service. Impact on us: We saw traffic increase but very low sales conversions. Our prospects came, saw, downloaded reports, and got an experience for free, but seldom became paid clients. Reality: People do business with people they like – They don’t just buy based on personas. 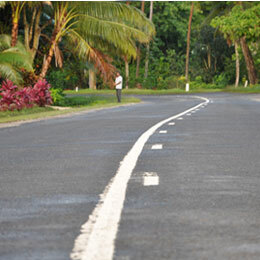 Understanding human needs & wants is sophisticated & complex than online tracking & tracing. Myth #3: Target management persona for sales conversion - Connecting with high flier personas (CEOs, CTOs, CPOs, and Directors) and sharing meaningful content will allow you to help them in their decision-making process. Impact on us: I don’t read too many emails or newsletters loaded with content. My reasons – don’t have the time, will read it later, that is a good content & I will get back to it later. So, will my customers read what I send to them – will they have the time or interest? Reality: Today is a world of collaborative and collective decision making - Focussing on one strategic persona for final buying decisions is a long route to conversion. Myth #4: Client persona-based content marketing will encourage buying - Keep sharing meaningful & helpful content, push discounts or offers, this will help prospective customers to associate with you and eventually buy your product/service. Impact on us: Lots of site visits, downloads, views, likes, shares, but no sales. Buyers buy when they have a critical need to buy or when they are motivated enough to buy. Reality: Shift your focus from content overloading to relationship building. Only content serving is not going encourage them to buy instantly or eventually. Myth #5: Detailed client persona is a one-time task and only bits of attributes will evolve over time - Identifying client personas at the start of a business year and then serving them for the whole year till there is a change in circumstance. Impact on us: 'One persona fits all' ideology made it very difficult for us to convert new clients as the sales pitch was not too generic. Reality: Each client matters, especially when you are starting out. In fact, no matter how big your company is, every client must matter as an individual. I am not against creating, maintaining and evolving client personas. I am all for content marketing. I do it and I think it’s a great way to get a closer understanding of your customer. However, my own personal experience shows spending real, meaningful & quality time with customers gives me more understanding of what they want, why do they want it and clarity on how we can help them. We need to reverse the cycle of serving and start with context & then share content. Building meaningful relationships with clients is a long-term strategy to serve them long term and build a loyal fan base. Are you wondering what happened when we adjusted our myths & our action steps? Well, this part of the story will have to wait until my next blog.